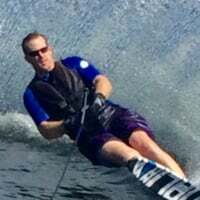 This is my first post on here as I am getting back into slalom skiing after a 10 year break. Unfortunately I didn't have the opportunity to get on the water and subsequently sold all of my gear. Now's the time to get back into it and buy a new ski. I was skiing on a 2001 O'Brien Mapple and then a 2005 Sixam 1.0. I was considering test riding the new O'Brien G5 which retails at $2000 AUD but I am not able to spend that much cash. Therefore I'm looking to buy a second hand Sixam (2006-2009). As I've been out of the game for so long, can somebody give me an indication of a fair price to spend? 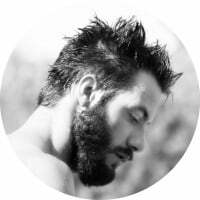 Also, are there any Sixam models that have received bad reviews that I should steer clear of? @ltaustralia Go to www.ski-it-again.com, slalom, and sort on O'Brien. Currently there is a very nice Elite Endo and a Sixam 1.0 for sale. However, you didn't specify what length of ski you were interested in, nor your budget. Personally, I would not purchase the Sixam SS, but that's just because it didn't suit my skiing. Others were probably very happy with it. If you haven't tried a ski yourself, it is going to be difficult. @Itaustralia I have a Sixam 2 you can have. I'll send a PM. You'll love the six am 2.0. Have Andy's autograph on it so I'm sure you'll understand I'm keeping it. But if you happen to get one, you'll love it. Very forgiving ski. Great choice to get back into it with. @ltaustralia the original red and blue Sixam was awesome. It was is a legendary ski. Unfortunately they do not make good used ski. Because of the way they were built they simply do not last as long as other skis. I second the Vapor Suggestion. I rode a a ton of sixam's and still have one or 2 laying around but they are in pretty sad shape. the new Vapor on the other hand has got to be the most friendly ski I have ever ridden. Ditto the Sixam not lasting. My friend loved all 4 of his until he just gave up and tried to find a lasting relationship. I have spent a lot of time on the sixam 2.0. It is a great ski. Stable & easy turning. It would be fun if it was brought back into the current line, maybe an updated version with a carbon fiber Composition..
George Harsch Sr I am looking for a Sixam 1.0, 67.5 inches. Are there any left?